Of all the Noir pages in all the world wide web, we are thrilled that you clicked into ours. 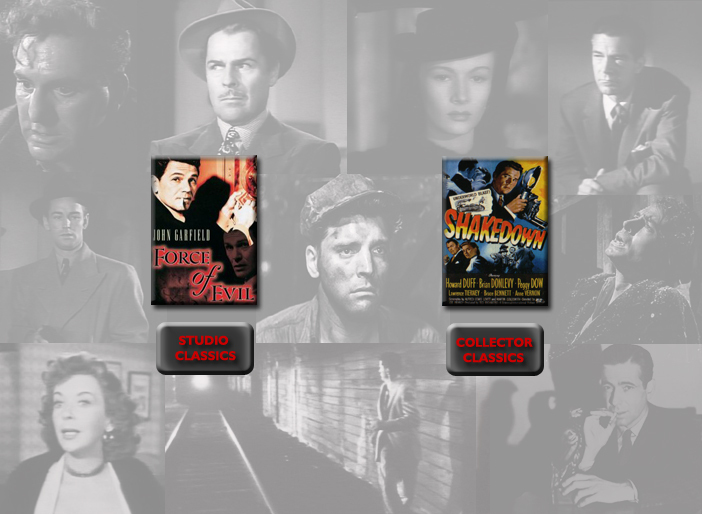 As longtime collectors of the genre, you will find that our Film Noir collection is one of the most extensive in the world. We are always searching for the rare, as well as commercially available Noir titles to add to our collection. Feel free to contact us with any questions about a title, or to send us your requests. We will be stocking nearly all commercially available Film Noir classic DVDs, along with the hard-to-find Collector DVDs. Click on a link below to enter our world of rain soaked streets, dark alleys and dead ends. Join us, and become a part of the classics.